A short walk of superb views and heaps of history - including ancient ‘strip’ fields once tilled by the patients at a leper hospital - this is a walk to really immerse yourself in our county’s history. Great Torrington was a violently busy place during the English Civil War and the town is awash with mementoes of its explosive activities. From the town the walk drops down to the valley of the River Torridge and Taddiport while the climb back up is well-provided with benches for a breather. There are plenty of refreshment options in town, or you could visit the delightful Rosemoor Gardens on the outskirts. This is a walk to test the new Christmas wellies – expect mud! The countryside surrounding Kentisbeare is home to several fisheries and their extensive ponds are a beautifully reflective feature on a bright winter’s day. The route passes through one of the Woodland Trust’s millennium community woods and the youthful (of any age) will enjoy splashing about in the ford part-way round, although there is a footbridge for the cautious. The walk passes through several hamlets before returning to Kentisbeare. Add in a visit to Kentisbeare’s parish church – admired by John Betjeman – and round off the excursion in the log-warmed and friendly Wyndham Arms. 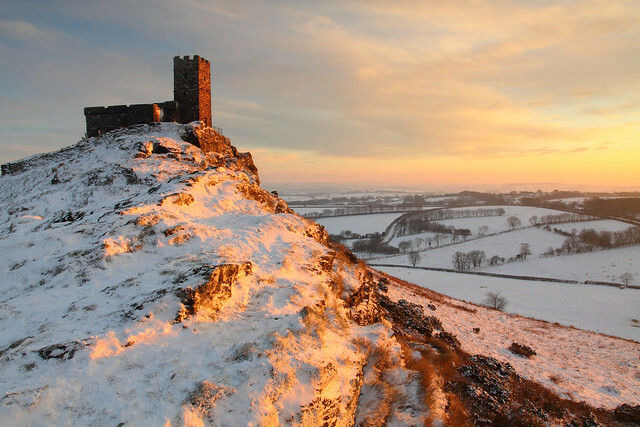 Enjoy a fabulous walk on the western edge of Dartmoor with an optional steep climb up Brentor to visit St Michael de Rupe Church. This is the smallest and highest complete parish church in England and commands arresting views. Churchgoers are treated to these vistas as regular services are still held here, including one on Christmas Day. The walk starts from the village of North Brentor and, after the optional steep climb, heads for the edge of the moorland, so a clear day is essential to see where you’re going and to make the most of the views. No refreshment stops on this walk but the Mary Tavy Inn is a short drive away or an additional detour if you wish to extend the route further. Glorious, sun-spangled coastal scenery (if the weather is right) accompanies this walk in the ever-appealing South Hams. 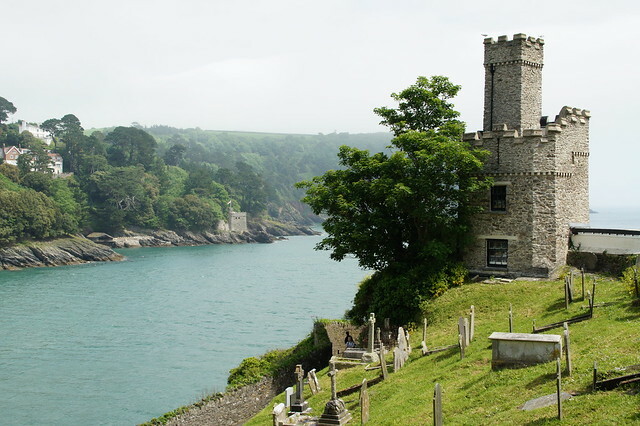 The first part of the route, although inland if you first head to Dartmouth, enjoys superb sea and country views, before returning along the coast path. Dartmouth and Kingswear castles can both be seen from the path: they were constructed to defend the mouth of the river and Dartmouth Castle was still in active service until WWII. 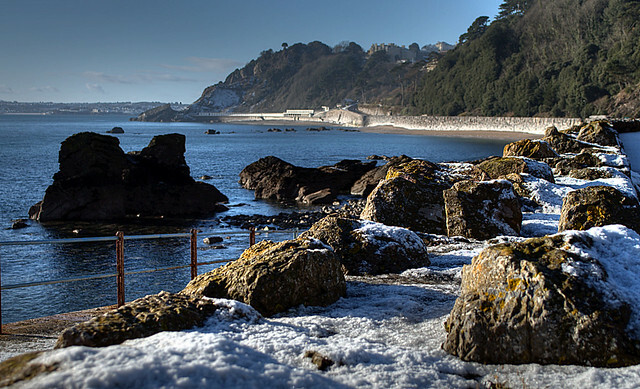 There is an option to detour to Dartmouth Castle Tea Rooms, but check their winter opening times to avoid disappointment. A pastoral Mid Devon walk using footpaths and lanes, this ramble looks to give some respite from the seasonal mud. Enjoy patchwork fields, the song of streams and look out for buzzards soaring above the woodland. The Red Lion will await you at the end of the four-mile walk. A short, gem of a walk which makes for a perfect Christmas family amble in lovely countryside and along historic green lanes. 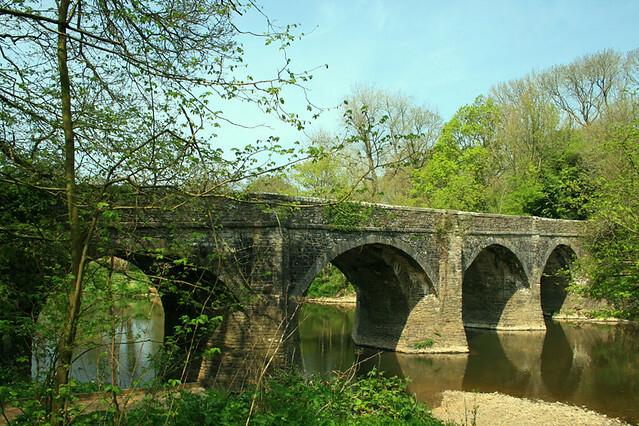 Crediton is an unmissable part of Mid Devon and the best way to get to know the place is to strap your boots on and stomp out around its interesting collection of natural features. There’s even the chance to wave at trains as the walk crosses the railway. Historic Crediton is also worth a look round and has plenty of excellent eating places – Baobab Café is our favourite. 7) North Devon – Westward Ho! The seaside isn’t just for the summer: frosty paths, fresh sea air and calming waves lapping the sand make for a delightful winter walk. 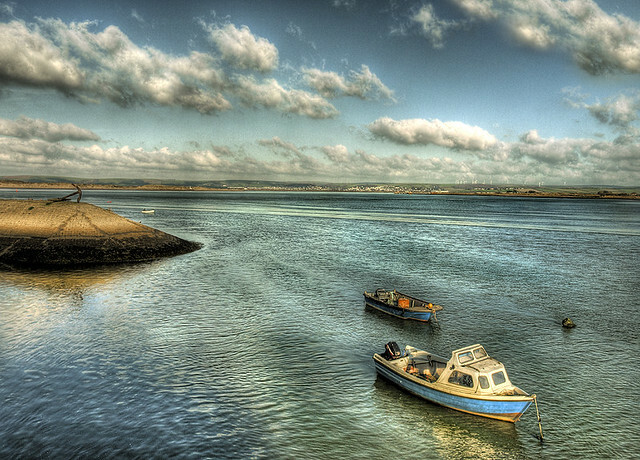 The two-mile route takes you round the best bits of the Bideford area including the closed railway line and the chance to soak in mesmerising views over the Bideford Bay towards Clovelly and Hartland Point. Afterwards, warm up with a hot chocolate at the nearby Rock Pool café, Tea on the Green or the Beach Kitchen. Set off from the pretty coastal village of Appledore this winter for a 7-mile walk exploring some of Devon’s natural beauty and even the site of an ancient battleground where 1000 Vikings were slaughtered. 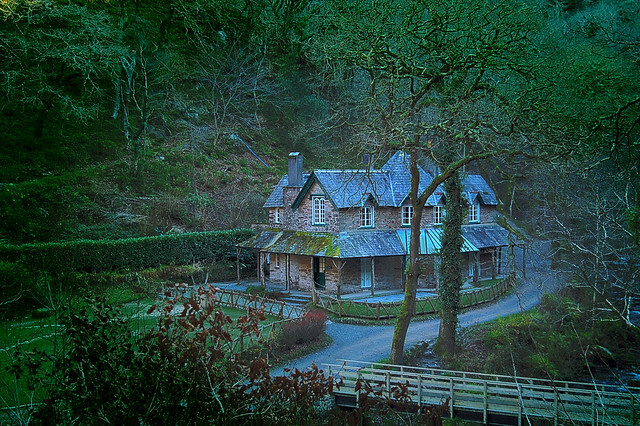 Pass the 18th century Bidna House where you’ll reach an estuary which splits into two paths, giving you the option of a waterside stroll or a scenic countryside route. Make sure to pay a visit to the enormous rolling sand dunes at Braunton Burrows at the end of the walk: renowned for its varied flora and diverse wildlife, the protected landscape is a world-class site with the same designation as the Hawaiian Islands. 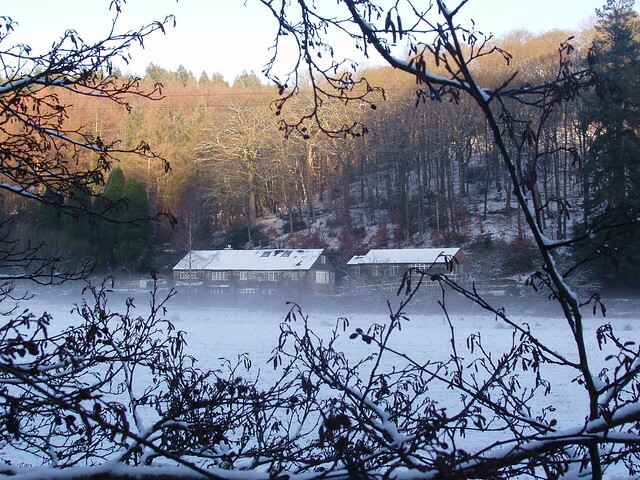 Get ready for a winter adventure exploring some of North Devon’s treasures while marvelling at the frost-covered trees dotting the awe-inspiring ancient woodlands of Watersmeet. 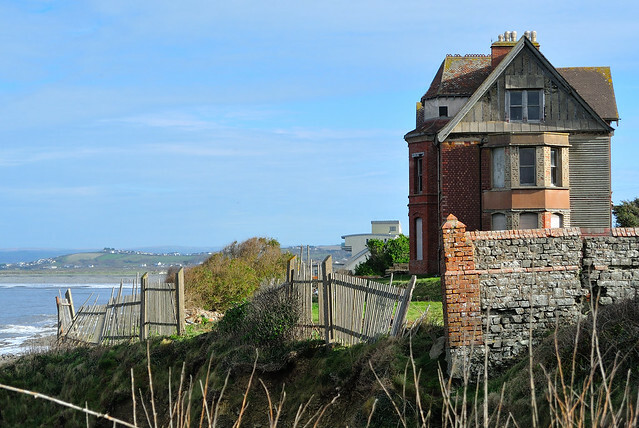 During this 8-mile walk enjoy the breathtaking views from the top of the rocky headland of Foreland, a visit to Watersmeet’s original fishing lodge and a peaceful ramble along the East Lyn riverbank. Head to the charming Rockford Inn - a remote riverside pub-hotel - to reward yourself with a tasty bite to eat. 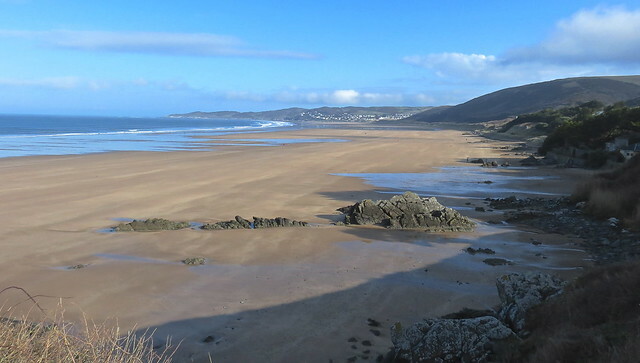 This short walk around Woolacombe Warren is perfect for a quick half-hour stroll with family and four-legged friends. Beginning at the National Trust car park at Marine Drive, follow the South West Coast Path until you spot the waymark. After exploring the dunes just up from the beach, you’ll descend onto Woolacombe Sand where you can let the pooch off to run wild in the coastal expanse. During World War Two the beach looked remarkably different as it was protected by barbed wire and was even used for US assault training in preparation for D-Day. 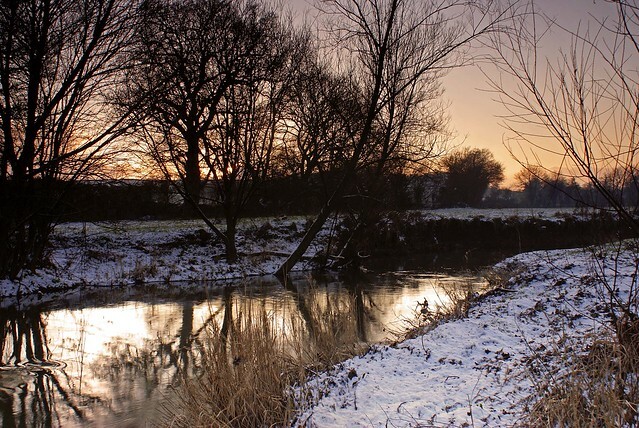 Grab your hat and gloves and wrap up warm for this leisurely ramble beginning at East Soar. Make your way along the historic runway of what was previously RAF Bolt Head and stop here for a moment to imagine the buzz of the place as soldiers hastily prepared for the D-Day landings. Shortly after passing the runway, see if you can spot the secret nuclear bunker. 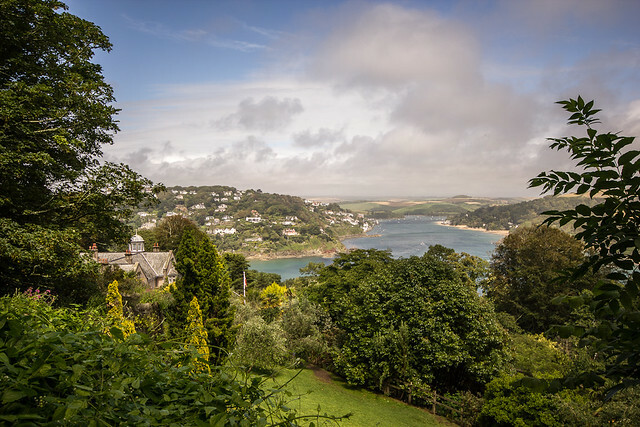 Before you reach Overbeck’s gates you’ll be able to see the sub-tropical gardens down below and even get stunning views over Salcombe – not a bad way to wrap up a winter walk. This four-mile walk from Meadfoot Road to London Bridge is ideal to blow away the cobwebs, embrace the refreshing sea air and watch the waves crash against the Meadfoot shore. Starting from the Strand you’ll come across Torquay’s iconic Mallock Clock Tower and Haytor Hotel. The Haytor Hotel, surrounded by perfectly manicured gardens, is the ideal place to stop off for a drink or bite to eat before making your way to admire beautiful bay views at Meadfoot Beach. Towards the end of your stroll, you’ll come across the picturesque Millennium Bridge which looks even more magical covered in a blanket of glistening frost.